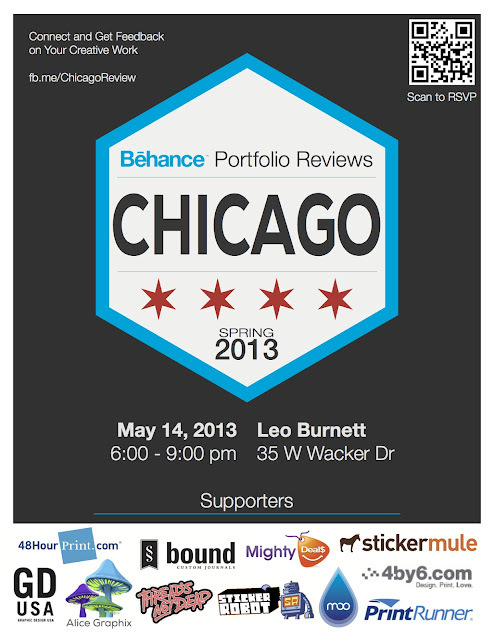 Top of the list is Leo Burnett for allowing the event to be hosted in there lovely offices in downtown Chicago. Bound Custom Journals has offered up a great raffle prize of a set of ten(10) custom Bound Memos to one very happy winner. They are also the creators of the Official Bound Memo of the 2013 events. So be sure to pick one up at the event! 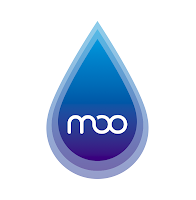 They are also also offering up $50 in site credits to one lucky raffle winner! Go Media was kind enough to offer up a digital copy of Jeff Finley's Thread's Not Dead book plus some awesome digital goodies from the Go Media's Arsenal. 4by6.com has offered a FREE satin-finish portfolio pack to everyone as well as $200 site credits to a lucky raffle winner! 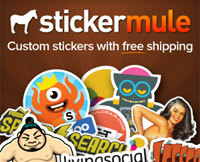 StickerMule has supplied $100 in site credits as a prize for the raffle. Mighty Deals was very generous & has supplied three(3) vouchers for $75 worth of site credits, each. Sure to make three very happy raffle winners. The great folks over at 48 Hour Print have provided some great freebies for everyone at the event, 25% off their next order as well as three(3) vouchers each worth $99 in site credits! Sticker Robot was kind enough to send some awesome freebies for everyone as well as some epic sticker packs to get raffled off. Graphic Design USA was kind enough to send a FREE copy of their latest magazine issue for all the attendees. PrintRunner is suppling all the attendees with 10% off an order of die-cut business cards. Last but not least Adobe / Behance is offering up Behance Prosite for FREE for 3 months to attendees, access to Adobe Creative Cloud at a discounted rate of $29/month & one lucky raffle winner will win a full year subscription to Adobe Creative Cloud!